Get a voucher for $5.00 for you and your friends by recommending our store. Sign in to your account in our shop and open referral page. It's quick and it's easy. Just fill in the first name, last name, and e-mail address(es) of your friend(s) in the fields. Your friend will receive email from our store with $5.00 voucher for his (her) first purchase and you will receive your own voucher for $5.00 after friend's first purchase. 10 friends can help you to earn $50.00 and more... Your friends' e-mail addresses will only be used in the referral program. They will never be used for other purposes. 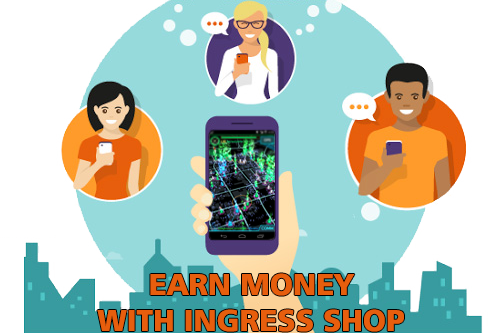 How Ingress Agents can earn money in our shop? You can use your referral vouchers for purchases in our store or you can withdraw money to your paypal account or bitcoin wallet. If you want to withdraw, just send us email ticket with your login (in our shop) and amount that you want to withdraw. Also add information about bitcoin or paypal withdrawal address. Your referral money reward will be sent the same day! And the best part… since there’s no limit to the number of times that you can invite friends, there’s also no limit to the amount of money you can earn! So go on, help us spread ingress word so that we can help you and your friends to smash all enemy portals and glorify your faction. Alot Ingress agents have already taken an advantage of buying ingress items from us. Everything is Legal! *** To participate you must be an existing INGRESS-SHOP customer. You must NOT send invites to people that you don't know. This referral program was created only to spread ingress-shop between friends.